to creating lasting results for our clients. As a collaborative partner for businesses on the cusp of expansive growth, we provide the support and expertise to help brands stand out and succeed among competitors. With services in strategy, design, development and marketing, our team of entrepreneurs, designers, strategists, and developers brings expertise and creativity to launch brands to their next level of growth. 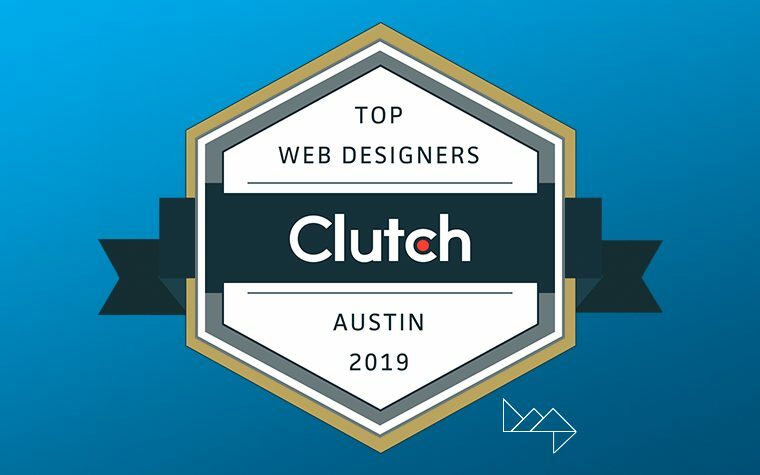 As a result of our purpose-driven, authentic approach to partnering with businesses, we have been featured in Clutch’s 2019 report as a top B2Bag company in Austin. 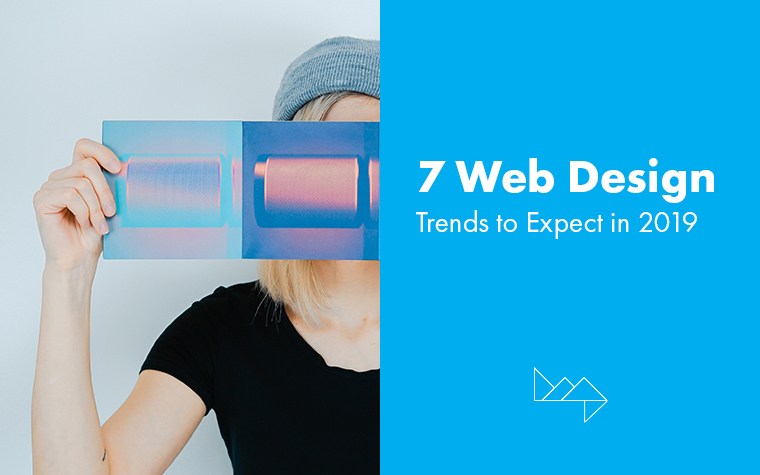 More specifically, we’ve landed the spot as the #1 agency in Clutch’s Leaders Matrix for web designers in Austin. Clutch is an independent B2B ratings and reviews firm in the heart of Washington D.C. It focuses on providing businesses with the services they need by evaluating technology service and solutions companies. A Clutch Leaders Matrix provides a broad view of the top-performing companies in a particular industry or location. These matrices also function as interactive graphs that show where companies fall across four quadrants. 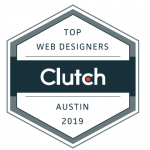 We’re excited to be identified by Clutch as a market leader in the area of web design. Clutch ranks each company according to the quality of its work, thought leadership, and client reviews. Clutch analysts conduct interviews with clients, often directly over the phone, in addition to collecting relevant data about the company. In this process, we’ve achieved a 4.9/5-star rating. Our dedication to understanding our clients’ needs has also resulted in our presence on Clutch’s sister site, The Manifest, where we are listed among the leading digital design agencies. The mission of The Manifest is to gather and verify the hard data, expert insights, and actionable advice that needed to build your brand and grow your business, providing the practical business wisdom that manifests in a business’ success. 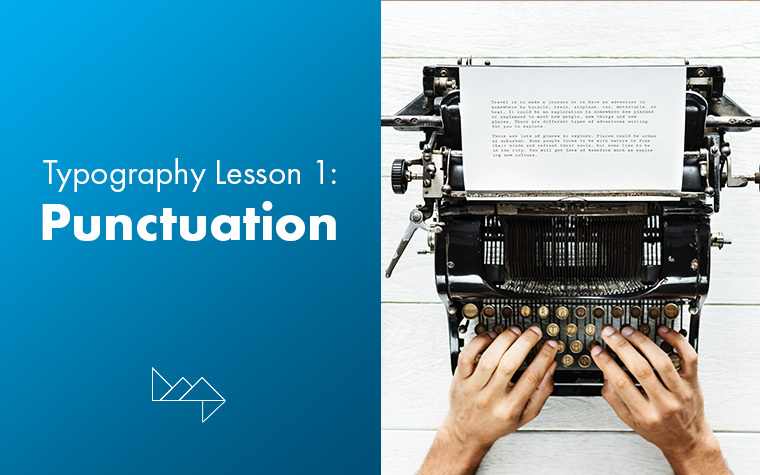 Clutch’s second affiliate site, Visual Objects features digital marketing agencies and creative firms alike alongside their portfolio items – giving buyers all of the necessary criteria to make an informed decision about their business partner. 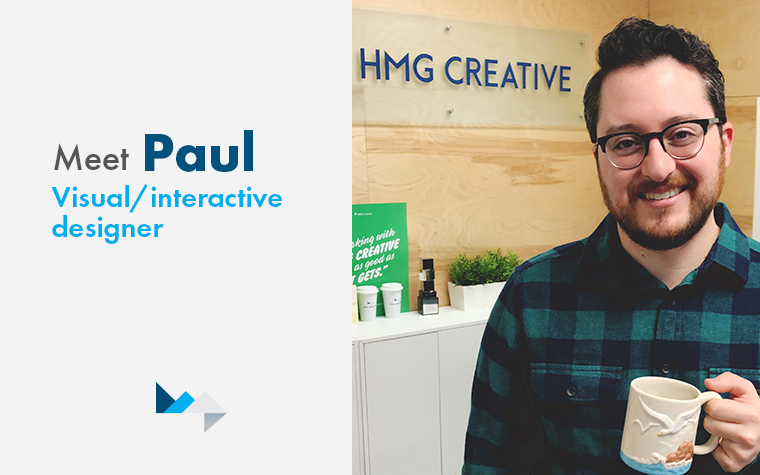 On behalf of everyone at HMG Creative, we feel honored to receive this award and would like to thank the Clutch team for recognizing our hard work. We’re grateful for excellent partnerships and clients who provide honest feedback to help us evolve and grow as an agency. We look forward to future opportunities to help bring brands to life and boost business growth.